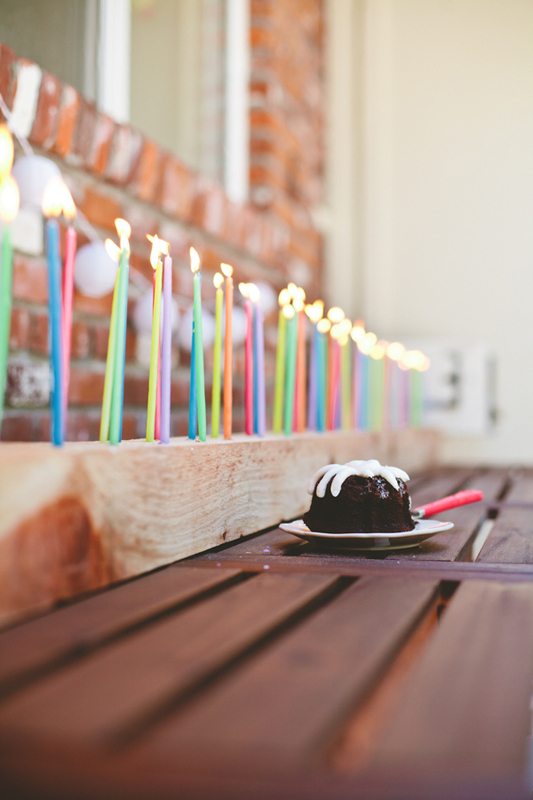 A festive DIY Candelabra for you next birthday bash! Inside: We are showing you how to make a DIY candelabra. Some birthdays just seem like they need more. More candles, more brightness, more party. This DIY candelabra is perfect for such an occasion. 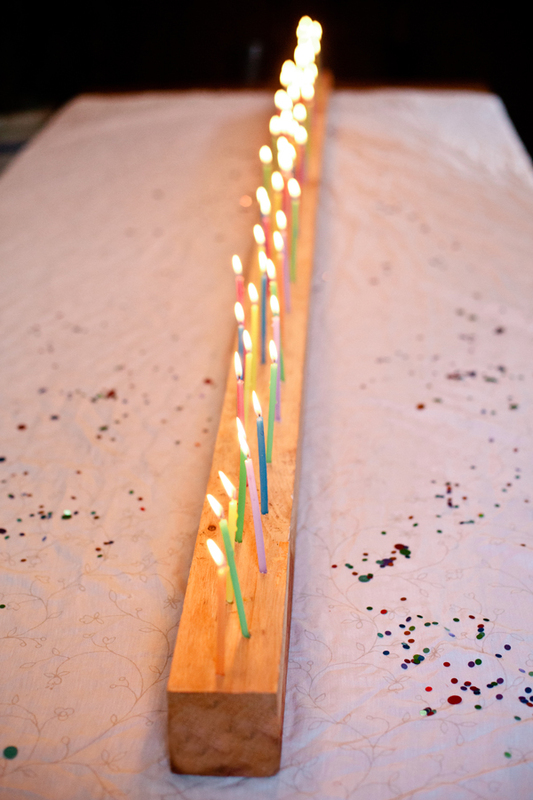 Fill it with 60 candles like we did for a huge milestone birthday and watch your guest of honor light up with joy. It’s a simple piece to pull together and I love how it really becomes a substantial centerpiece to the entire party room. To make the 10 foot candelabra, purchase a 4x4x10 piece of wood from a local hardware store. You can get one similar to ours for under $10. 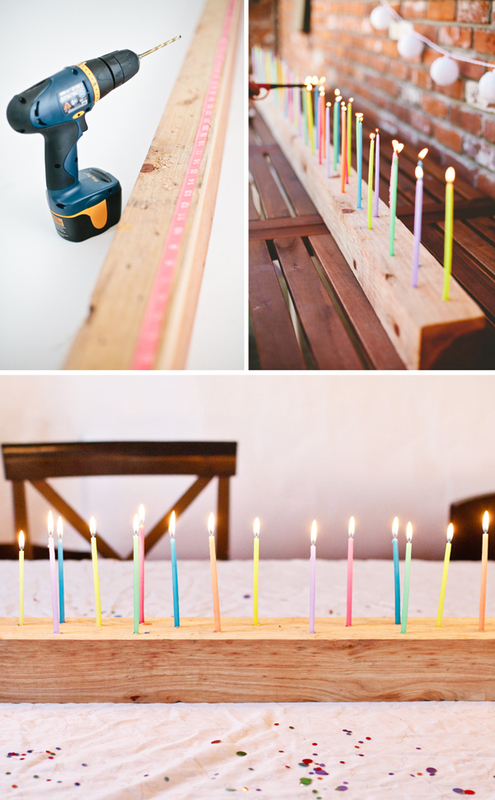 Decide how many candles you’d like to place in your holder and measure out the drill spots with a ruler. Use a medium size drill bit to drill down into each hole and then fill with the candles. I love these colorful candles, but any party ones would work. We’ve decided to keep the candelabra as a centerpiece for all our summer gatherings outside. 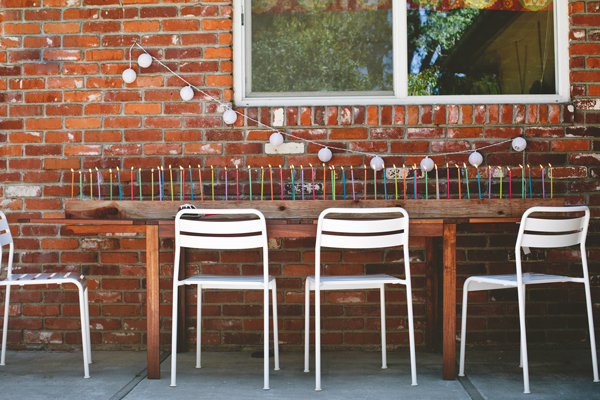 This sweet project would be a perfect DIY sweet 16 candelabra! 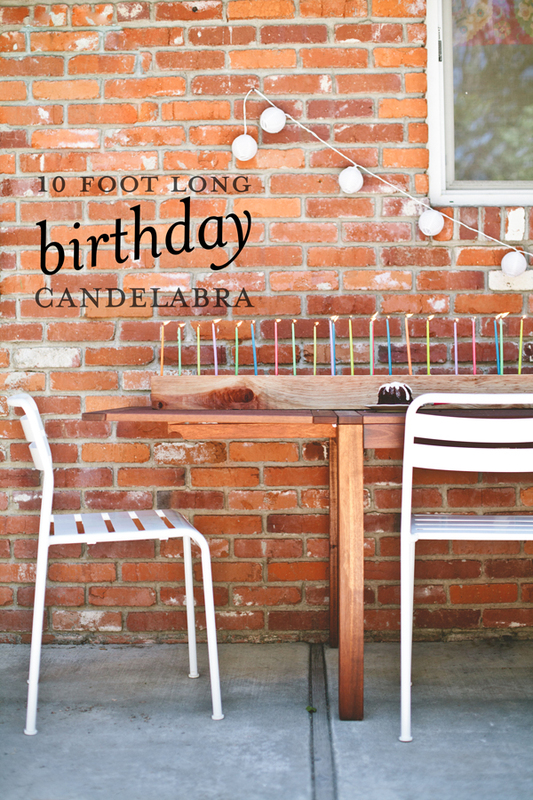 What birthday bash will you use this DIY candelabra for? Let us know! More unique birthday candles, and remember when we made a candle out of matchsticks? That was fun! Photography in collaboration with Jocelyn Noel for A Subtle Revelry. I love this idea! so pretty! Love this idea! I’ve been really digging long center pieces lately vs big ones space every so often. so cute! Just don’t let those candle burn too low. This is so gorgeous! How fun for a grown-up birthday. Kind of glamorous but still very festive. Great job!! I love this idea! I really hate the dull number-like candles. If I am turning 36 I definitely want 36 candles. Great idea. Don’t birthday candles burn down really fast? Did you light it for the party, and about how long did it burn? I love the idea!